I've always loved make up but I've never been very confident with it. 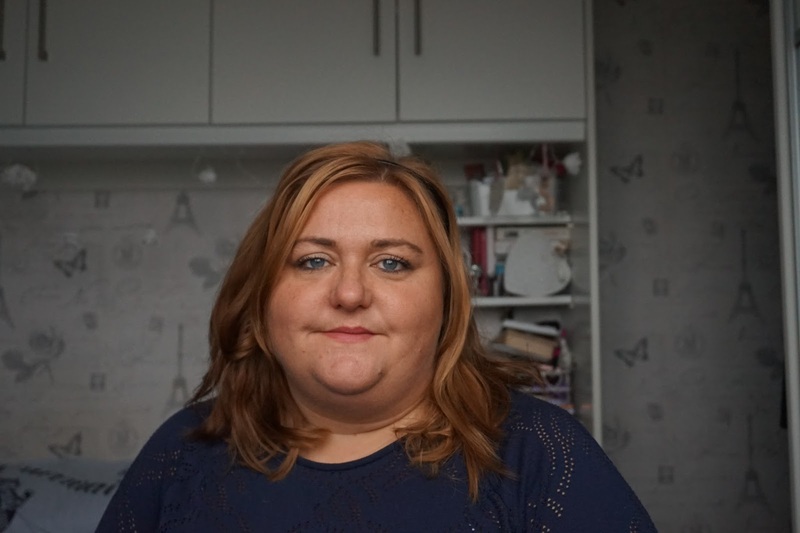 When I discovered the Plus Size blogging community it gave me the confidence to start experiment with it more and in turn I started blogging about it. I like looking back at the old Haul posts I did back in the day and look back to see what I used and of I still use them and what I think of them two years later. I'm going back two years at a time and I think as time goes on these will get better as I didn't do that many posts on the make up I bought until 2014. 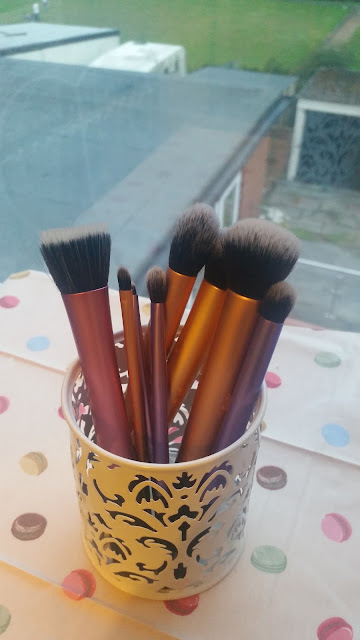 In August 2013 I splashed out on two sets of Real Techniques brushes and when I put the post up I hadn't really used them. Since then I've bought more of their brushes and I do use them fairly frequently. There are a couple of the brushes from these sets that I don't tend to use. I also have two of the beauty blenders, which I do like but they seem to split and break up easily and are in need of a thorough clean. My original sets were the Real Techniques Starter Kit (Purple for Eyes) and Real Techniques Core Collection Kit (Gold for base). I can't seem to find all the brushes but I know I had most of them a week ago so I'm hoping I haven't left them in a hotel on my travels. Base shadow brush - This is one of my most used brushes. I really like how well it works for laying down the base colour and I use this a little bit for blending the over all look. Accent brush - I don't think I've ever used this brush. Pixel point eyeliner brush - I may have used this as a lip brush once. I might have to give it a try. Brow brush - Another well loved brush, it gets used with all my powder eyebrow products and is one i'e misplaced. I'd say I've had my moneys worth from this kit, even using only 3/5 of the brushes. Detailer brush - This may have also been used as a lip brush but it's not one I reach for at all. Pointed foundation brush - These shap brushes really don't work for me. I don't know if this the foundations I use but i suspect it's just my technique. I find I go streaky or wipe product off. Buffing brush - Really enjoy using this. I use it to apply foundation and occasionally for powder. I've even used it for blush and bronzer. Contour brush - I don't think I've touched this brush once. Looking back this doesn't look like this was a great but but I don't think you can get the buffing brush on it's own and 2 years on I am experimenting more with make up. I think I will try and make an effort to try using a couple more of these brushes. This has made me think and using only 1/4 makes it a bad buy and I really don't want it to be. Expert Face brush - This is what I needed instead of the Real Techniques Core Collection Kit. I use it the same as the buffing brush. Really enjoy using it and have thought about buying a second but I really don't need one. Stippling brush - This seemed like a good idea at the time and it's been used twice. The pink collection if for finishing off a make up look and I've read it's good for making sure everything is well blended and good for buffing in cream blush. I need to give this another try. Finally while browsing TJ Hughes in Bury last weekend they have tonnes of Real techniques for really good prices and I'd bought another brush set the day before I still bought an eyelash / brow comb and the powder brush. I haven't opened these yet. If I hadn't bought the My Lottie London set the day before I would have got more.